Registration at Ross Hall Courtyard; Weekend activities across campus and at various D.C. locations. 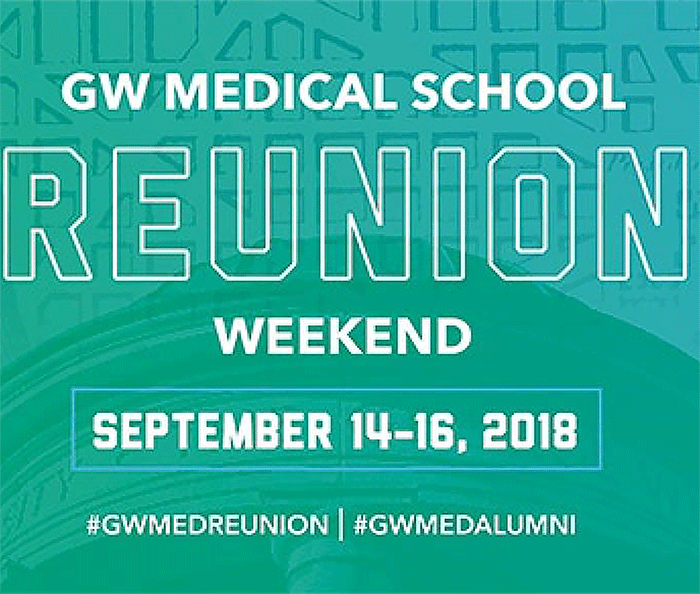 See schedule: go.gwu.edu/smhsreunionweekend for details. Welcoming back the classes of 1968,1973,1978,1983,1988,1993,1998, and 2008, as well as H Street Society members from the classes of 1967 and prior.